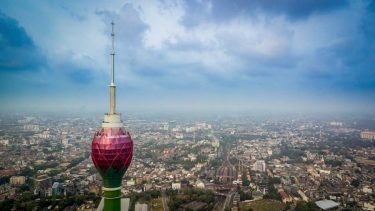 This tour is a culturally enriching experience, and those on it choose to see some of the everyday customs of Sri Lankans, from those in the temples to the leopards wandering national parks. Arrive at the airport & meet Luxe Asia representative at the Airport Lobby, there after proceed to Negombo. Rest, relax, unwind & spend the rest of the day at leisure by the pool side. After breakfast proceed to Sigirya. Checkout from the hotel after Breakfast and Proceed to Anuradhapura City for sightseeing, the First Ancient Capital of Sri Lanka. 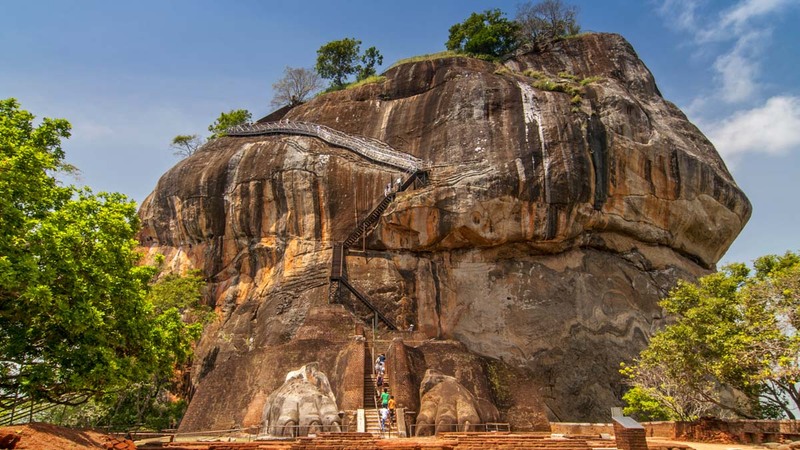 Sigiriya is perhaps Sri Lanka’s single most dramatic sight. Near-vertical walls soar to a flat-topped summit that contains the ruins of an ancient civilisation, thought to be once the epicentre of the short-lived kingdom of Kassapa, and there are spellbinding vistas across mist-wrapped forests in the early morning. Sigiriya refuses to reveal its secrets easily, and you’ll have to climb a series of vertiginous staircases attached to sheer walls to reach the top. On the way you’ll pass a series of quite remarkable frescoes and a pair of colossal lion’s paws carved into the bedrock. 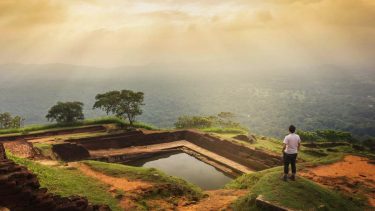 The surrounding landscape – lily-pad-covered moats, water gardens and quiet shrines – and the excellent site museum, only add to Sigiriya’s rock-star appeal. *Transfer from Sigiriya Rock Fortress to Hotel. 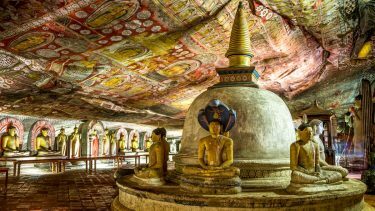 Raising with the decline of Anuradhapura, the city of Polonnaruwa – medieval capital & crown jewel of King Parakramabahu I – remains superior proof of ancient culture & heritage blended with religious beliefs. Walk across its scattered walls of the World Heritage Site – blessed by stupas, resting Buddha statues, irrigation canals and fantastically carved Hindu sculptures – while observing the relic house – Watadage – which boasts of beautiful stone carvings. Take a close glance and you will realize a subtle Hindu influence on architecture and statues found in Polonnaruwa. Or sit by the side of Galviharaya and observe the absolute beauty gushing out of every bend of its huge Buddhist statues. 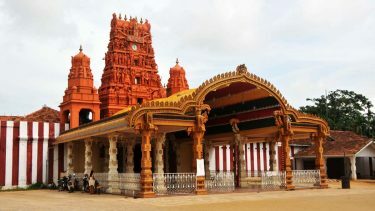 Nissankamalla Council Chamber is however, a head-spinning beauty to just sit back and observe with its swaying pillars reminding the aesthetics of a powerful kingdom which rests beside Parakrama Samudraya – sea of Parakramabahu & masterpiece of irrigation! Dambulla lies a hub which has been treasured by many kings since the 1st century B.C. 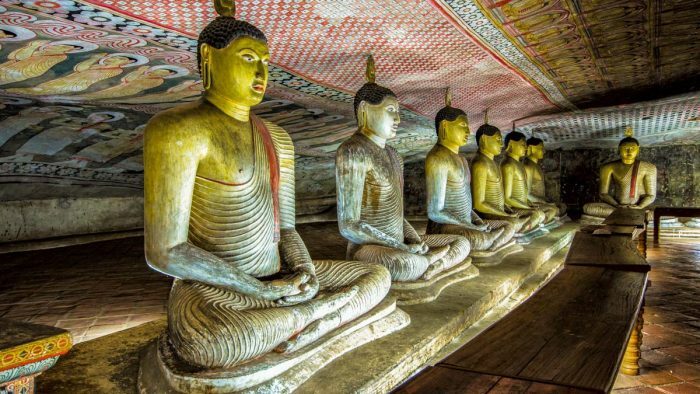 Today, an icon in the face of Sri Lanka Dambulla Rock Temple houses some of the most unique drawings in magnificently constructed 5 cave temples flanking the golden temple of Dambulla. Observe how exquisitely cave paintings are done along walls that shelter 150 statues of Lord Buddha. As you enter the retreat look straight up to the gigantic Buddha statue glittering in gold over a land which today houses an important junction in the country’s economic and cultural uplifting. Transfer from Dambulla to Matale. Stop by the side of a spice garden – into which you will be most welcome – and observe the therapeutic values of spices & processes over a refreshing cup of herbal tea! Or spend some time idling on the hardened streets if you mean a real town adventure filled with voices and colors. Kandy – the World Heritage Site & last royal capital of Sri Lankan kings – crafts an array of culture, history and heritage in the minds of visitors across the globe. Experience an ancient Kandyan legacy engraved around its crown jewel, the temple of the sacred tooth relic of Lord Buddha. A stroll across this small lakeside town – cradled among the misty hills – will feature the Kandy City Centre – bundled with latest and world class brands, bazaar, an arts & crafts center, as well as a gem museum & lapidary. 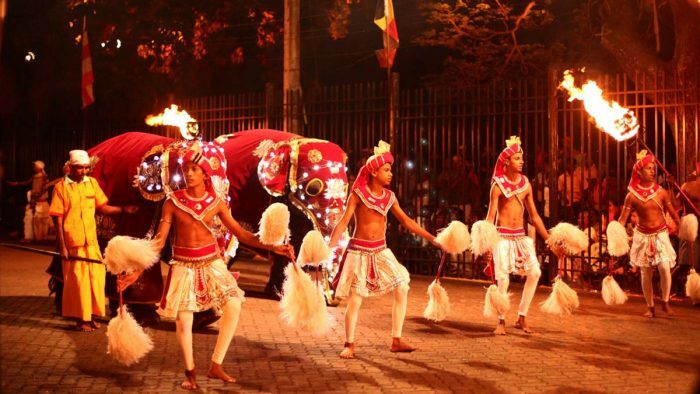 Fine tube your evening by stepping to the beat of traditional music & drumming amplified by a cultural show enhancing the rich and vibrant culture of the Wonder of Asia, Sri Lanka. Transfer from Kandy City to the Hotel. Transfer from Tea Plantation to Nuwara Eliya. Visit Nuwara Eliya. Nuwara Eliya, because of its invigorating mountain climate and scenery, is Sri Lankas most popular hill resort. Nuwara Eliya is also the heart of Sri Lankas tea country producing a significant share of the worlds’ best tea. Sri Lanka s highest mountain Pidurutalagala (8282 feet) is located here. Nuwara Eliya also has one of the finest 18 hole golf courses in South Asia. Proceed to Yala, after a scrumptious breakfast. After safari proceed to Hotel. After breakfast, proceed to Galle and explore the Epic Southern Capital. Galle is the intersection where classic Dutch architecture meets a tropical setting creating a vivid atmosphere in beauty. Walk the Dutch-haunted streets listening to the creaks of wooden saloon doors and observe how European architecture mingles with South Asian traditions today flooding cultural enthusiasts on a global scale. Its original ramparts and bastions preserved up to date showcase evidences of a heritage preserved for more than 3 1/2 centuries. Walk clockwise within the fort to observe the ‘old gate’ carrying the British coat of arms. Flanking the old gate is the Zwart bastion – the oldest of all – and the lighthouse standing 18 feet in its glory next to the Point Utretcht Bastion. This Dutch bliss is painted with streets that spread in a rectangular grid pattern pierced with houses carrying Dutch colonial style verandas. However, its hallmark stands a reality where the Dutch fort remains a working community with its usual buzz of administrative offices, court complex, commercial buildings, churches and Southern folks frequenting its streets bracing the air of the Elysium of architecture, Galle! 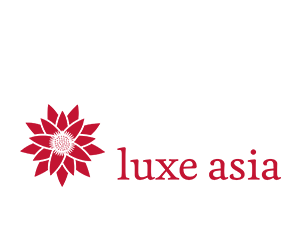 *After lunch proceed to Colombo. After breakfast, proceed to Airport to connect with the Departure flight.